If you’re like me, you have definite travel moods. Sometimes you want heart-pumping adventure; other times you want to melt into a beach chair and do nothing. The good news is that Guam offers it all. Whether you’re an adrenaline junky or a lazy sunbather, we’ve got a vacation theme for you! You’re the traveler with all the GoPro attachments — underwater, head mount, selfie stick, check! Guam can be experienced at full throttle whether you’re a small or big budget traveler. There are now two types of skydiving — traditional and simulated. Check out Skydive Guam to actually jump out of a plane or Skydrenaline Zone to just feel like you have. If you don’t mind feeling your stomach in your throat, go for a Slingshot ride in Tumon. For a milder adrenaline fix, Zipline Guam offers unique views of Tumon Bay. If water is your pleasure, book a parasailing excursion. If jumping off of stuff is your forte, check out our top spots to take the plunge or read our 12 Activities for Adventure Lovers on Guam. You’ve just traveled for 12 to 24 hours and you’ve never felt so happy to sink your toes into the sand. Before you hit the bed, you hit the beach… and you stay there all day. 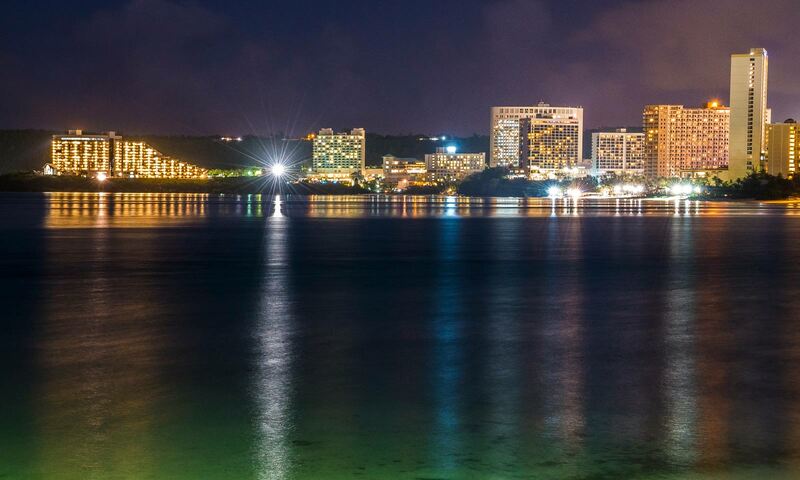 In fact, Guam is so safe and tourist-friendly, you can enjoy Tumon Bay even at night! If you can pry yourself out of the beach lounger, you’ll want to check out some of the dinner and dance shows at all the major hotels along the Bay. To get off the beaten path and see Guam’s rugged coastline, rent a car, hop in a taxi, or book a bus tour to see Guam’s sleepy southern beaches where you can be just as lazy, but escape the tourist-beaten path of Tumon. We recommend Ipan, Talofofo, and Inarajan beaches. Check out the 8 Most Breathtaking Beaches on Guam. Guam is safe, relaxed, and very family friendly. If your kids love the water, you’re in luck. Swimming and snorkeling are favorite family activities, as are waterparks and hiking. Check out Tagada Amusement Park in Tumon for rides or UnderWater World to see the ocean without getting wet. For older kids and teenagers, explore Guam’s rugged terrain with Jungle Rules Adventure Tours, where mom or dad can drive an ATV (and hopefully, not drive their kids crazy) with the help of a guide. 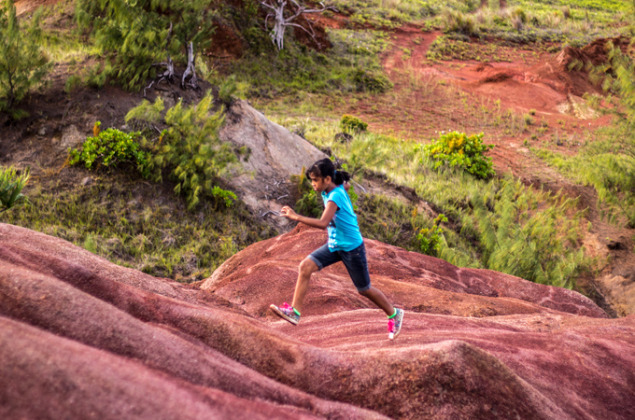 Read the rest of our Top 10 Spots for Family Fun on Guam or Family Friendly Hikes on Guam. You came with a credit card and you know how to use it. 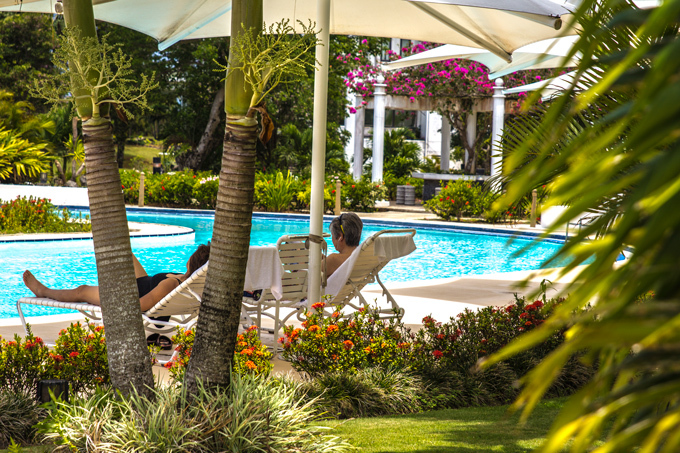 Budget shopping or luxury brands — Guam has it all. Head to Chamorro Village on Wednesday nights to shop unique handmade jewelry, souvenirs, and art. 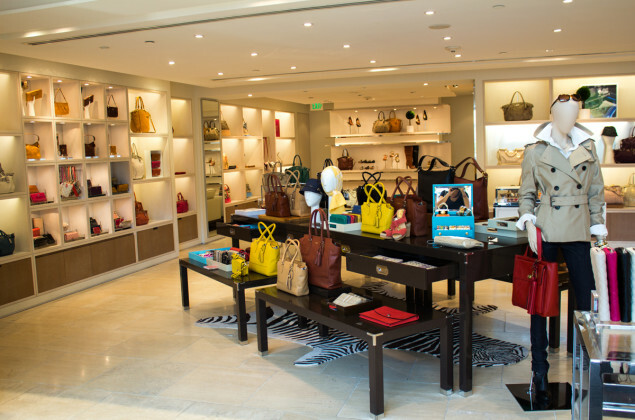 Or hit up any of the major shopping centers in Tumon for U.S. and European luxury brand apparel, shoes, and accessories. Start with the largest — The Plaza Shopping Center then work your way through JP Superstore, T Galleria, and Tumon Sands Plaza. For more affordable brands, you can explore each of Guam’s malls within a couple of days — Agana Shopping Center, Micronesia Mall, and Guam Premier Outlets. Each of the malls has a food court and movie theatre if you literally shop til you drop. Guam has layers of history to peal back (Chamorro, Spanish, Japanese, American) all contributing to a dynamic modern-day culture. Step outside of Tumon’s tourist strip to experience historical villages like Umatac, Merizo, and Inarajan. You may even be invited to a village fiesta or BBQ! To see authentic Chamorro dance, visit Sheraton Laguna Resort & Spa to see a performance by Pa’a Taotao Tano. Read our feature, Understanding Chamorro & Micronesian Culture on Guam as well as 10 Ways to Experience Culture on Guam. There are five foods you must try on Guam and a whole lot more that you will enjoy. Start with kelaguen, a signature local dish. 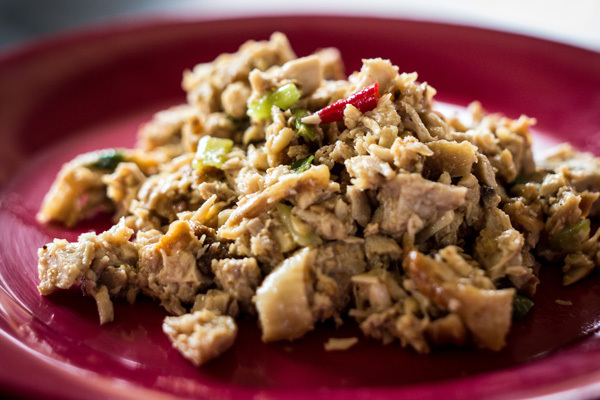 A combination of lemon juice, onions, local hot peppers, salt and sometimes grated coconut are used to “kelaguen” either seafood, beef, chicken or even Spam. Kadon Pika is another local favorite. The Chamorro word “kadon,” when translated, means stew and the word “pika” means spicy. Ingredients include soy sauce, vinegar, salt and black pepper, onions, garlic, local hot peppers and last, but most certainly not least, coconut milk. Discover the other must-try foods on Guam! Guam is home to many Asian fusion restaurants as well. See photos of our favorite fusion dishes, best bakeries, burgers, and pizza! Guam hosts several signature sports events annually, such as XTERRA, Guam International Marathon, Ko’Ko Half Marathon and Relay, and Cocos Crossing. Thousands of international visitors stream in to compete. 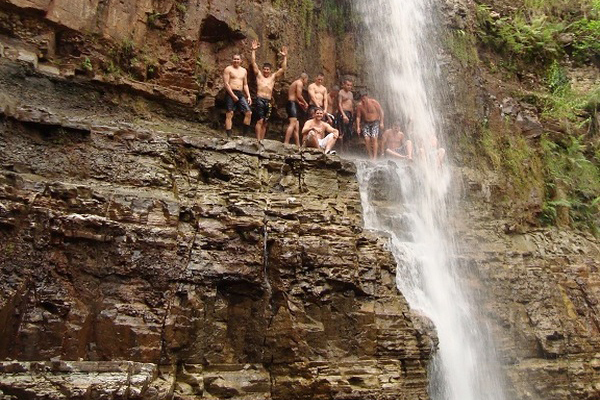 Hiking on Guam is known as Boonie Stomping and guides take locals and visitors to rugged beaches, rolling hills, and hidden waterfalls weekly for just $2. Want to be a spectator? 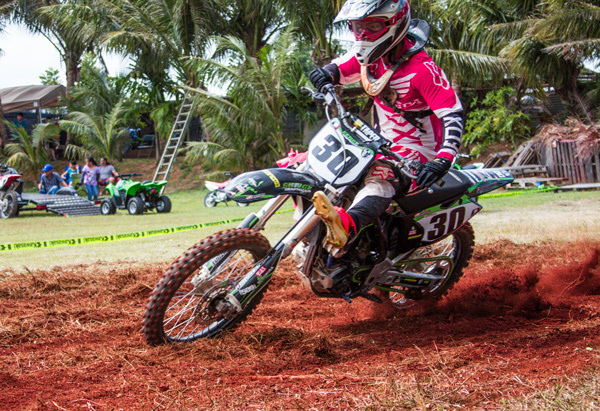 Guam International Raceway is the home of drag racing, drifting, autocross, car shows, and super moto events.